As London Mayor Boris Johnson today unveiled a Crossrail 2 growth commission, the county council revealed it has launched a study to examine the benefits of stretching the planned rail link further into Surrey. 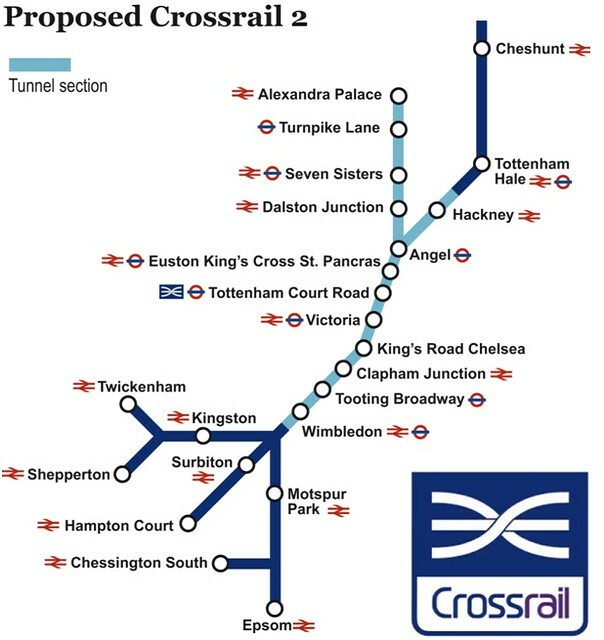 Proposals for the cross-London line currently take in Shepperton, Epsom, Hampton Court, Chessington South and Surbiton stations on its southern tip. But the authority is conducting a study to assess the feasibility of stretching the regional Crossrail 2 route to Woking and Guildford. The council also aims to look at how much capacity the multi-billion pound project could help to free up on the overburdened South West Main Line serving Waterloo. Crossrail 2 services could run from 2030 if the project gets government approval. In the video below, the county council’s Cabinet Member for Transport and Planning Mike Goodman explains what the study aims to achieve.